This is an advertising booklet published in the USA by the Bauer Type Foundry (Germany) in 1937. It argues that Bauer type, while machine-made, retains that "human touch." It is notable for three features, however. First, it was printed by Joseph Blumenthal's Spiral Press, one of the great commercial fine arts presses of the 20th century. It is therefore piece of fine printing uncommon in the advertising world. Second, it acknowledges as valid and important the method of making typefounding matrices by engraving a patrix and then electroforming a matrix from it. This method, while of great importance in 19th and 20th century typefounding, is often ignored or disparaged. 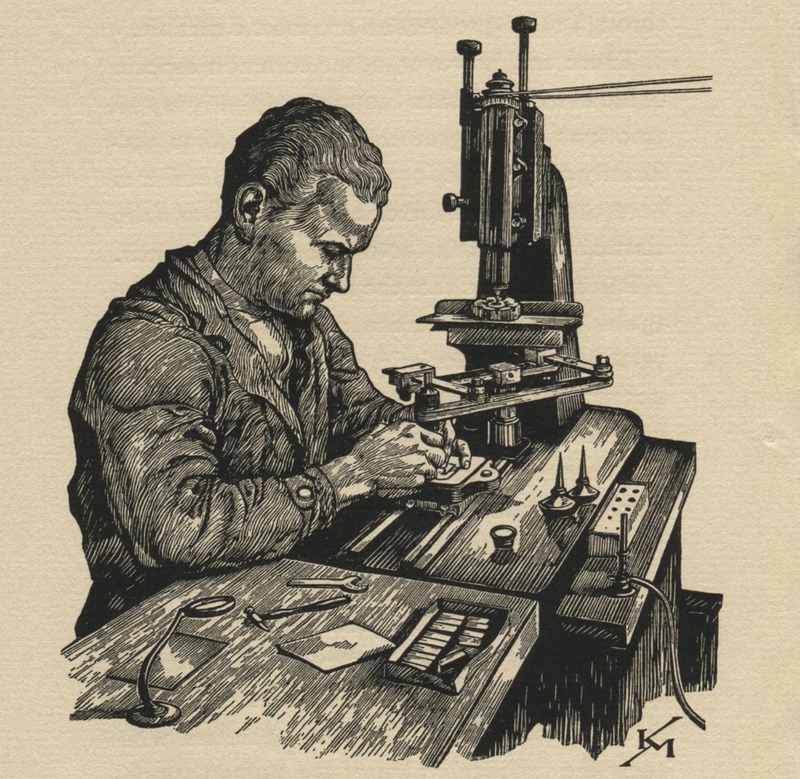 Third, it reprints three illustrations by Karl Mahr depicting aspects of the type-making process. These appeared originally in Mahr's "Der Druckbuchstabe" (1928).